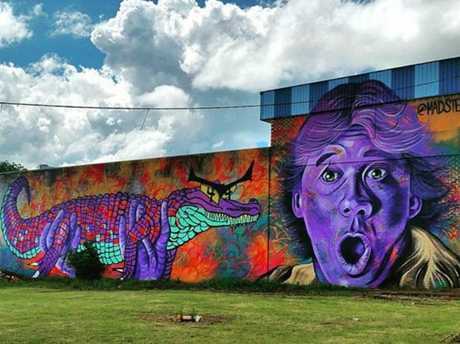 GONE: A mural of Australian icon Steve Irwin, painted in 2015 by American artist Mark Paul Deren, has been painted over to make way for a new development. 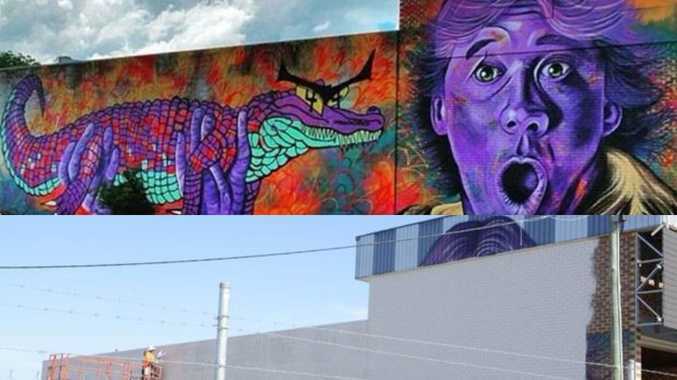 MEMBERS of Toowoomba's art community have been left gobsmacked after a huge mural depicting Australian icon Steve Irwin was painted over. Contractors yesterday finished covering up the visible street art piece on the side of the 1 Neil St building. Spanning the entire side of the building, the piece was painted by acclaimed American artist Mark Paul Deren for the 2015 First Coat Festival. It is understood a contractor called Switch in a Box will open in the unoccupied commercial property in February, and will paint its own business details on the side. 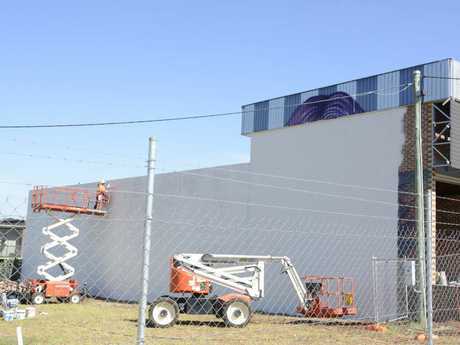 Toowoomba art critic and enthusiast Sandy Pottinger said while it was disappointing to see the mural removed, it was part of the ephemeral essence of public art. "It's street art and the nature of street art is its living changeability," she said. "It will be repainted and painted over eventually. "Some may paint it right out and while I think it's a shame that that powerful and bold piece is gone, by the same token that is the game we're in. "(However) to paint it out for the sake of painting it out would be criminal." 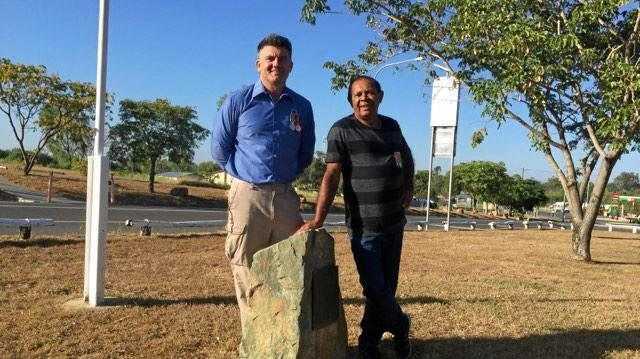 Mrs Pottinger said the artwork's visibility on a national highway, along with the dedication to the beloved environmentalist, made it a particularly harsh blow to Toowoomba's street art scene. 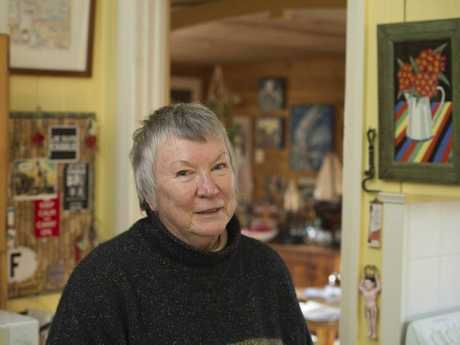 "It is a shame, because when you're driving around that road, it's nice to have something to look at," she said. First Coat Studios director Ian McCallum, who helped organise the 2015 festival, was surprised to find out the piece was gone. "They're only guaranteed for one year - the owners agree to keep it up for one year and then it's up to them if they want to keep it or remove it," he said. "It is sad, but that's part of public art - it is ephemeral. "It's not like it's in a gallery where the conditions are kept consistent. "It can take anywhere from three days to a week to complete a mural." Will you miss the Steve Irwin mural? This poll ended on 19 January 2018. Ray White Commercial agent Mark Wynhoven, who knows the building's owner but did not lease the property, said the new business Switchboard in a Box wanted to put its logo on the side of the building. "It will be distributing (electrical) components for a national company - they hope to be up in the second week of February," he said. Mr Deren, who is based in California, was approach by The Chronicle for comment.